8-MP auto focus rear-facing camera with single-LED flash (view larger). The Windows Phone 8X by HTC is brilliant yet simple if you are shopping for your first smartphone or looking to be wowed by a new operating system. 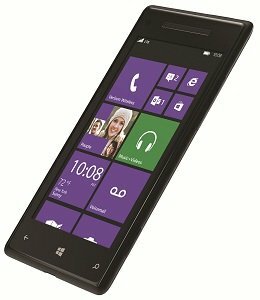 Running on the new Windows Phone OS, this 4G LTE smartphone is packed with amazing features, starting with an HD screen. Powerful Beats Audio makes your playlist come alive. An extra-wide-angle front camera captures more people in your photos. Three colors (including black and red that are exclusive to Verizon) to pick from. And built-in wireless charging, also exclusive to Verizon, to give you an easier way to power up. Perhaps most distinctive to this Windows Phone OS is its colorful Live Tiles. Create a dynamic Start screen with Live Tiles so you can quickly find out what your friends are up to, along with the latest news, weather and more. Youâ€™ll see those updates faster on Verizonâ€™s 4G LTE, the fastest 4G network in America. If youâ€™re looking for something simple yet sophisticated, meet the new Windows Phone 8X by HTC. Stand out of the crowd with this phone's sleek design and high-resolution 341 ppi display. The Windows Phone 8X by HTC reflects the cool, clean look of Live Tiles, with an exterior and interface in perfect harmony. Its bold, distinctive, new design is super slim at the edge for an even more comfortable fit in your hand. And the next-generation Gorilla Glass 2 screen is tough, lightweight, and scratch-resistant. Post pictures to Facebook faster than ever. Go from shooting to sharing in seconds, with one-touch tagging and auto-uploading built in. And with the People Hub, you can bring all your social media together. Some phones make you jump between Facebook, Twitter, Outlook, and all your other apps to keep up. On the Windows Phone 8X you can see and respond to everyone's updates, chats, calls, messages, even photo uploads, all in one place. Windows Phone OS is simple and distinctive. The new operating system helps you customize your Start screen with Live Tiles and apps that are important to you, such as friendsâ€™ social feeds and the weather. Wireless charging is a Verizon exclusive feature: itâ€™s easier to charge this smartphone without wires (charging pad sold separately). The Windows Phone 8X has attentive settings which make your phone ring louder when itâ€™s in your pocket or purse and quieter when itâ€™s in your hands. 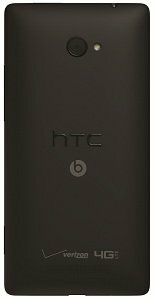 The two additional colors of this phone, black and red, are available only for Verizon customers. In a world full of smartphones, Windows Phone is different because itâ€™s powered by you with the people and things you care about. It's as personal and unique as you are, because of Live Tiles â€“ amazing little tiles that you can pin to your Start screen and arrange your way, and they deliver whatâ€™s happening with the people and apps you love right to your Start screen. Plus itâ€™s built for peace of mind because every single app is tested for malware before you download it. It also works with Windows so you can access your documents and pictures from virtually anywhere with SkyDrive. Come meet your Windows Phone, and see why the phone you bring to life is as unique as you are. Go ahead, let the kids play. Children love playing with your phone. Sometimes it's games. Sometimes it's the phone settings. Sometimes it's emails to your boss. Kid's Corner gives kids access to only the apps and features you choose. So you can be sure they're playing Angry Birds and not emailing your angry boss. The Samsung Galaxy S 4 is thinner and lighter than the S III, yet it packs a larger 5-inch Super AMOLED display, with durable Gorilla Glass 3. Other improvements include a faster 1.9GHz quad-core processor, 13-megapixel camera, super-sensitive touch screen, and infrared universal remote control. The S4 can also detect hand gestures over the display and comes equipped with 16GB internal memory. Other features of this device include LTE high-speed data, WCDMA and quadband GSM modes for international use, 2-megapixel front camera, removable battery, and a microSD memory card slot. Use this device to access thousands of apps, games, movies, books, and music on the Google Play Store. Top Tier Features at a Rock Bottom Price Featuring a powerful 1.7ghz Octa-Core processor and the very latest in Android OS technology, the POSH smartphone is a powerful, fully-featured alternative to the name-brand devices. The 13.0 Megapixel primary camera and slim, contemporary design make it the perfect option for the cost-conscious smartphone user. Notable Features: Operating System: Android 4.4 Kit Kat Processor: Octa Core Speed: 1.7 ghz SIM: Dual SIM Dimensions: 3.3 inches, 0.35 inches, 6.5 inches Display Size: 6.0" Resolution: 720 x 1280 Camera: 13.0 Megapixels Front Camera: 5.0 Megapixels Earphone: 3.5mm with mic GSM: 850/1700/1900 Battery: 3000mAh CPU: MT 8392 RAM: 1GB ROM: 8GB External: Supports Micro SD card up to 32GB Platform: Mediatek POSH The POSH Lifestyle Brand is pleased to be able to offer a wide range of Cell phones across many different type of phones. Tablet Phablets Smartphones Flip Phones are but a few of the items that make up our online catalog. Here at POSH, the quality of our products and the satisfaction of our customers are the two greatest passions of our enterprise, as we endeavor to bring you top quality items at competitive prices. Top Tier Features at a Rock Bottom Price Featuring a powerful 1.3ghz Quad-Core processor and the very latest in Android OS technology, the POSH smartphone is a powerful, fully-featured alternative to the name-brand devices. The BLAZING ULTRA FAST 4G LTE will work amazing. Notable Features: Operating System: Lollipop 5.1 Processor: Octa-Core Speed: 1.3 ghz SIM: Dual SIM Dimensions: 5.6 x 2.7 x 0.3 inches Display Size: 5.0" Resolution: 720 x 1280 Camera: 13.0 Megapixels Front Camera: 13.0 Megapixels Earphone: 3.5mm with mic LTE Bands 2,4,7,17 Battery: 3000mAh CPU: MT 6753 RAM: 2GB ROM: 16GB External: Supports Micro SD card up to 32GB Platform: Mediatek POSH The POSH Lifestyle Brand is pleased to be able to offer a wide range of Cell phones across many different type of phones. Tablets Phablets Smartphones Flip Phones are but a few of the items that make up our online catalog. Here at POSH, the quality of our products and the satisfaction of our customers are the two greatest passions of our enterprise, as we endeavor to bring you top quality items at competitive prices. For work or for play, the volt has the apps you need, courtesy of Google play. Whether you are a working professional or aspiring student, a scholarly technophile or traveling adventurer, the volt puts the best of Google play at the tips of your fingers. Games, calendars, organizers, video editors, Maps, signal strength monitors, social networking platforms, if the app exists, the optima can take it. With its 16GB of ROM and 3GB of RAM, there is No app this volt cannot take. 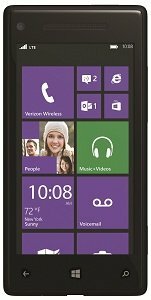 Top Level Categories for HTC 8X, Black 16GB (Verizon Wireless).